Disclosure: I was sent a review copy from the vendor in order to write up an honest review. All views shared are mine and mine alone. Available now on DVD for only $12.96. Expecting snow tomorrow? Besides picking up the essentials: bread, milk, batteries, etc., don't forget to visit your local movie rental kiosk to rent a few new DVDs or Blu-rays to watch with the family. Or, better yet, buy a few movies while stocking up on winter storm essentials, as you will probably find your kids asking to watch them over and over again. 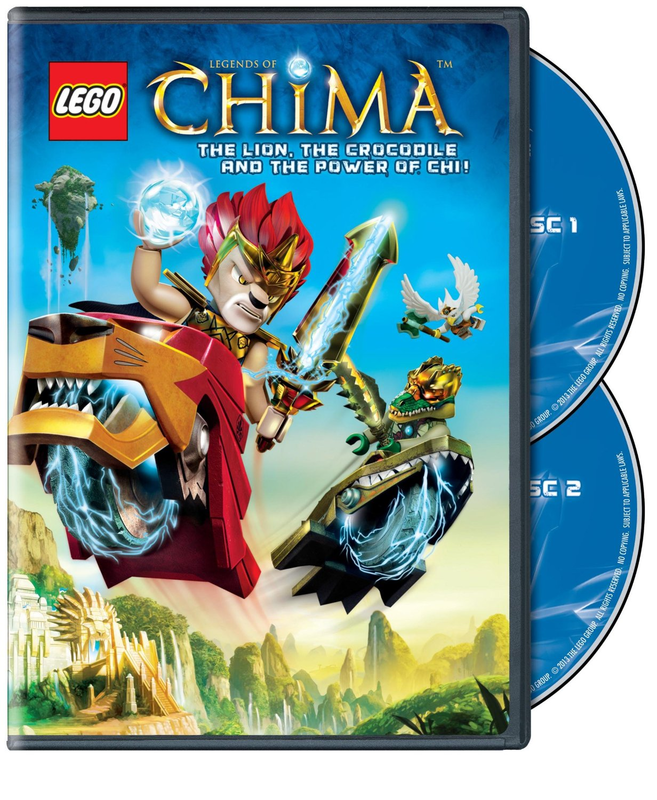 :-) If you have a LEGO fan in the house, one movie you will want to check out is the new LEGO Legends of Chima: The Lion, The Crocodile and the Power of the Chi Season 1, Part 1 to watch. This new DVD, which released on January 28th, contains 10 battle filled episodes on two discs. LEGO® LEGENDS OF CHIMA™: THE LION, THE CROCODILE AND THE POWER OF THE CHI SEASON 1 PART 1 provides the ultimate blend of action and humor guaranteed to entertain fans of all ages. For a thousand years, animal tribes have rules the land of CHIMA, their stories, and the stories of those who seek to destroy them, are known as … THE LEGENDS OF CHIMA. The kingdom of CHIMA has become a battle ground for eight animal tribes, best friends that have become enemies. The animals fight for control of a natural resource called CHI, a powerful element that is both a source of life and potential destruction. Only a few brave heroes in CHIMA understand the true nature of CHI, and the possible downfall of CHIMA that will result from its misuse. Animals throughout the kingdom relied on the magical CHI orbs to energize their vehicles, gear and themselves. The orbs were a power source that the Lions had always shared equally with everyone. They played and worked together, cooperated and prospered- until the outbreak of the CHIMA conflicts. As conflict spreads, the fate of the kingdom of CHIMA hangs in the balance. So, if you and/or your child love LEGO, this is one DVD worth checking out. All ten battle episodes are action packed and sure to keep both adults and children entertained, as you sit back and watch the snow fall tomorrow. What a way to spend a snow day!